Ready to ham it up? Then Skit Week is for you! 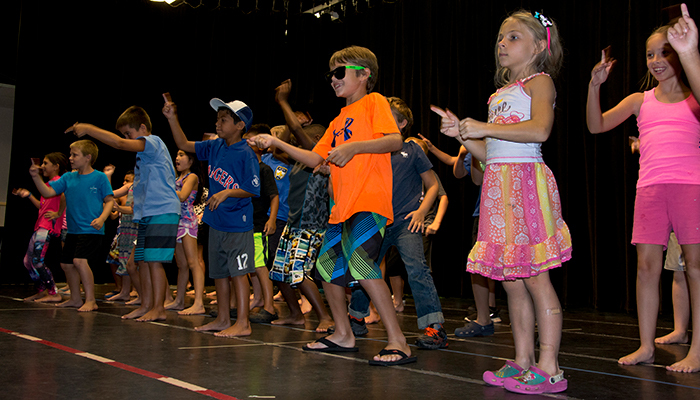 Skits, silly songs, and dances are a big part of summer camp and a great way to finish out the summer. Each cabin will put together a short performance throughout the week. Skits will be performed for family and friends at 1:30 p.m. on Friday, July 26, as part of our camp’s closing celebration. During Session 8 day campers in Pre-K 4 - 2nd grade will go to Chuck-e-Cheese, and day campers in grades 3 - 6 will travel to the Shipwreck Island (Adventure Landing’s water park). Field trips are subject to change based on site availability.